Guest Comic by Mady G.
This week’s guest comic is by the fabulous Mady G! 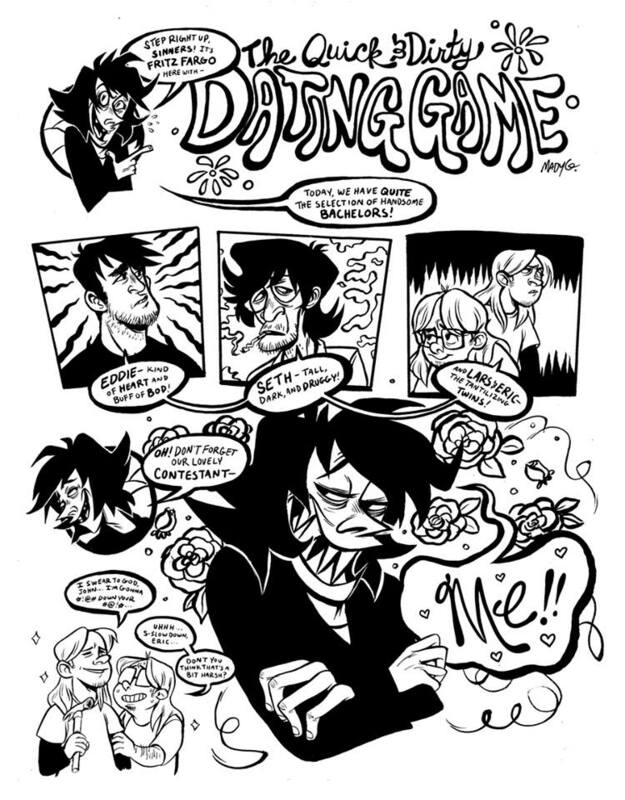 A talented cartoonist, who’s art can be found on their personal site or on their Art Tumblr! Thanks a lot, Mady! this comic needs way more exposure. it’s a crime how little feedback you get, Fowlie. Aw thanks, I’ve never been good with advertising on a large scale. Everyone I’ve gotten help from is also pretty small time, so i dunno. How did you find Fritz? 4chan on the new /lgbt/ board. i don’t recommend you go there. it’s full of autists and shitcunts, but once you’re in the ride never ends. Oooh, I see. Yeah, I’ve never been much of a 4chan person. I’m really glad people are talking about it, though! I read a lot of webcomics made by people who draw well but don’t seem to care about integrating the text with the art. They just kinda have it float around awkwardly on top of their beautiful panels because it has to be there. That’s why I really like how invested this comic seems to be in, well, being a comic. The hand-written text helps. Anyway, I’m not sure if what I’m feeling right now is sympathy or schadenfreude, but I like it. I want to meet Seth already. I bet he’s terrible. Hopefully we’ll get to Seth and the feel-bads sooner than later! Glad you’re enjoying it!